Here is the old ZDF documentary about Crown Princess Victoria and Prince Daniel of Sweden. Oh yeah, the program is in German. And, one more documentary entitled, Secret Access: The Vatican. His Royal Highness The Prince of Wales Discusses the Importance of Taking Care of the Environment. 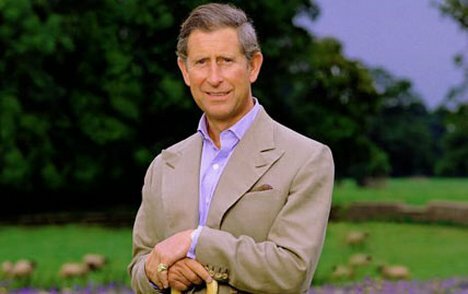 His Royal Highness The Prince of Wales recently wrote the foreword to Mr. Tony Juniper’s new book, What Has Nature Ever Done for Us. Click here to read with the prince had to say. To learn more about Mr. Juniper and his new book please visit his official website here. His Holiness Pope Benedict XVI held a papal audience with Their Serene Highnesses Prince Albert II and Princess Charlene of Monaco on January 12, 2013, at the Vatican. Afterward, Prince Albert II and Princess Charlene met with the Secretary of State, Cardinal Tarcisio Bertone, and the Secretary for Relations with States, Monsignor Dominique Mamberti.